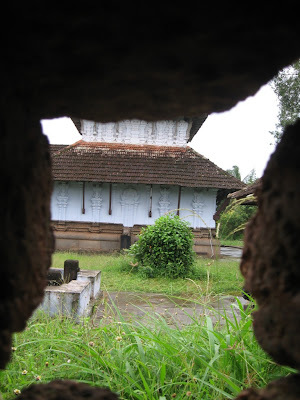 The village of Panniyoor on the banks of River Nila (Bharatapuzha) once decided to build a temple complex that would be better than the ones even in Heaven! 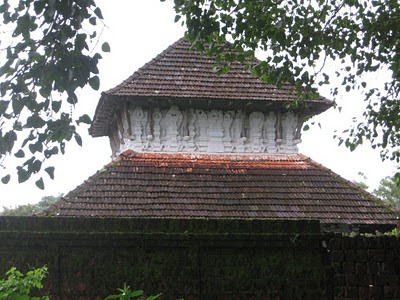 The onus of building this marvel fell on their master carpenter, Perumthachan. With a team of fine carpenters in the region, Perumthachan started the work and soon the news spread to the Heavens that the architecture of the temple complex in Panniyoor village had the potential to overshadow the splendour of the Gods. As insecure as only he could get, Lord Indra, the King of Gods himself, set out on a journey to the village to find for himself if there was any truth in these rumours. Once he saw the brilliance of the work in progress, he was overcome with envy and started plotting against the carpenters’ team. Every day, once the carpenters went out of the temple complex after the day’s work, Lord Indra would come to the workshop and make wrong markings on the wood, so as to confuse the carpenters the next day. With wrong measurements, they failed to finish the work in time, but were not aware that it was the handiwork of Lord Indra. Every single day, they ended up having to redo their work the previous day, and this delayed the project. Perumtachan however realized that it was the handiwork of the jealous Indra who wanted to scuttle the initiative. He understood that his fellow carpenters would lose their reputation and therefore their livelihood if they did not complete the project on time. He decided that since he couldn't find a way to appease the Gods, he would rather quit than jeopardize his colleagues’ careers. He jabbed his chisel and measuring scale into the temple wall and left the temple courtyard in anger pronouncing that he has decided to stop working and was going to be a nomad. 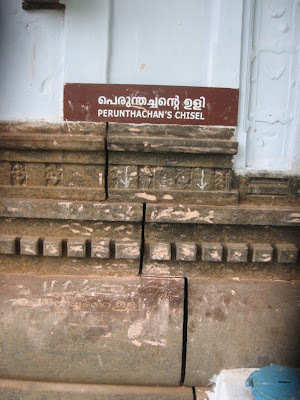 Since Perumthachan was no longer in the picture, Lord Indra too expectedly, returned to his abode. Through his sacrifice, Perumthachan ensured that the carpenters in his village were never out of work! This 4,000 year old temple to this day stays as an incomplete work of art and looks like a work in progress. A chisel and measurement scale are visibly inserted into the wall. 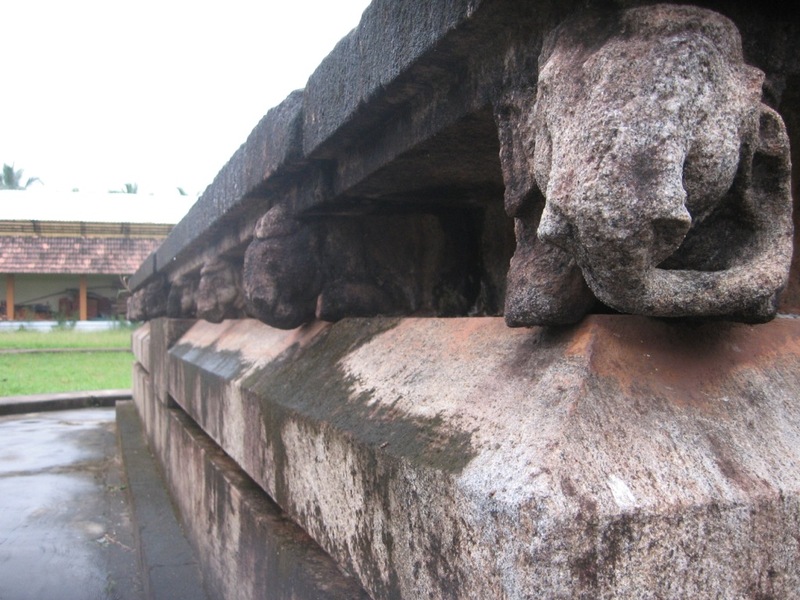 Attempts to restore some part of the building without much expertise is visible in the way the temple authorities are now building the new compound wall. The lime coated paint has destroyed some of the temples’ old world charm, perhaps ensuring that Lord Indra would never have to feel jealous again!! Another version of the temple legend has that Perumthachan, the carpenter was on a pilgrimage repenting the accidental death of his son. He came to Panniyoor one afternoon when the carpenters were having their lunch. They failed to recognize him and continued with their lunch ignoring him. Upset and angry with the snub, he went in and placed wrong measurements on the wood. When the carpenters returned, they went about their work, but couldn’t complete the work the way they had designed and planned. They were worried about the fact that their reputation would be sullied if the work couldn't be completed on time. Taking pity on their situation, the nomad carpenter climbed up the towers and completed some of the work for them. Before leaving, he said that he has decided not to work anymore and inserted his chisel and measurement scales into the temple wall and walked away. He also prophesized that the carpenters in the village will never have trouble finding jobs and their reputation will reach far and wide. Irrespective of different versions of story one want to listen to , River Nila from eons continue to bring out such fantastic stories. Join one of our legend trails to listen to such stories and experience the destination in a different way.